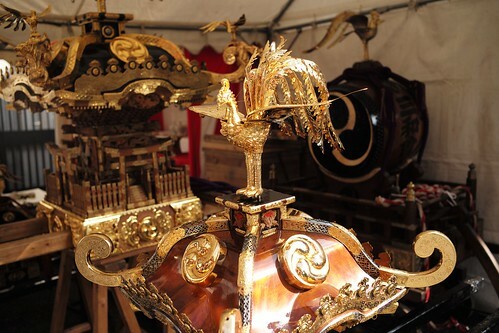 This temple is by far one of the most popular temples in all of Tokyo. It’s a must-see for any first visitor to Japan. I have been multiple times, and prefer going at night when it is deserted, but all lit up. One of the upsides of visiting during the day is that you can go to the Asakusa Tourist Information Center and enjoy a beer from the 8th floor observation deck! Side Notes: This temple is located very close to a really cool hookah lounge, Bonji Bar, just behind the temple (about a 10 minute walk). It makes for a really cute date!! 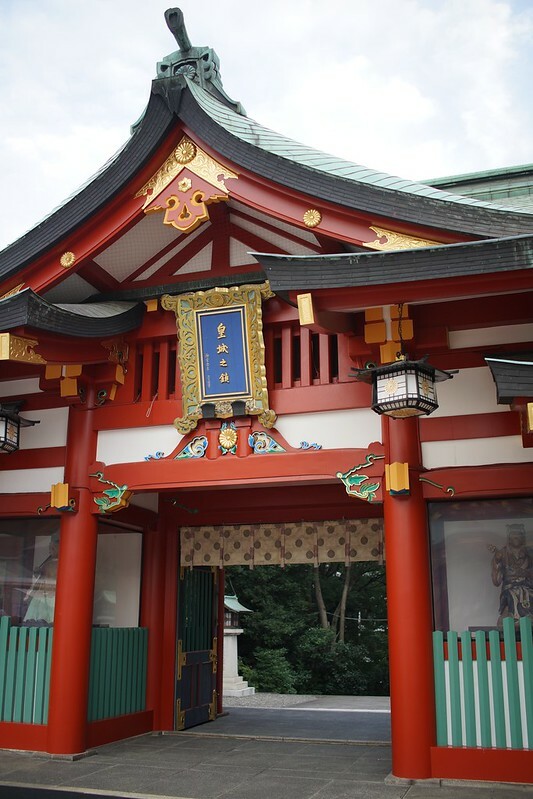 Hie Shrine is tucked away in Akasaka, and isn’t as easy to spot as Senso-ji. The entrance has a giant black Tori squeezed between two 10-story buildings. The shrine itself is a lot larger than it initially appears. 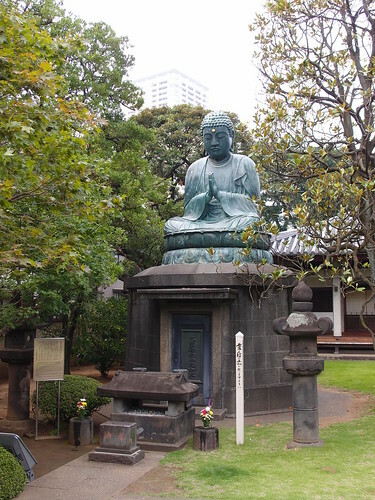 If you find yourself staying in Akasaka or nearby, it’s worthwhile to take a quick walk through the shrine. Side notes: Across the street I found a noodle shop with a mean bowl of Udon for 300 yen! 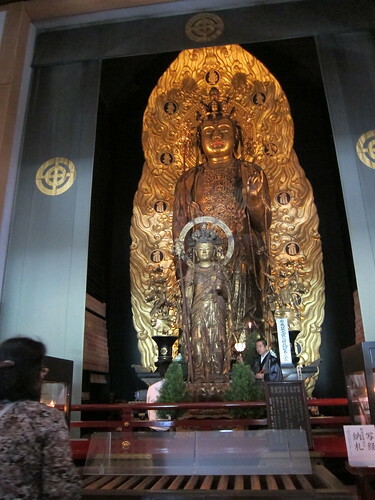 Not only is this temple within walking proximity to the Kamakura Daibutsu (Giant Buddha) of Tokyo, but there two separate 10-20 foot-tall gold statues of Buddha within this temple! The temple has two different levels, and an underground cave. Thousands of small ceramic Buddhas are arranged in patterns and rows around the area, and the Udon restaurant actually has some tasty snacks and great views! I highly recommend visiting this temple during some of their ceremonies. There is a large pavilion just inside the entrance way that they cover with lit candles. It’s a magical experience! 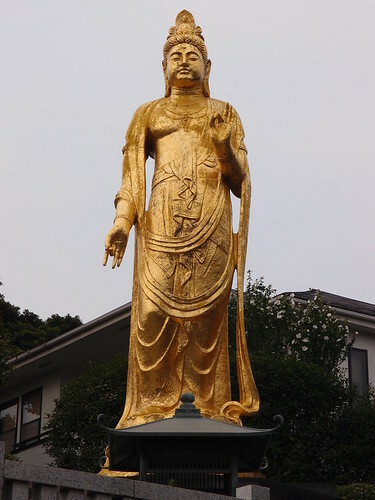 While taking photos of the golden Buddha’s is a huge faux-paus, and I discourage everyone from being THAT GUY while travelling through, I did find a photo on flickr of one. It is worth noting that there are a series of caves throughout this area filled with buddhist-related states, cave wall carvings, candles, and other traditional things! 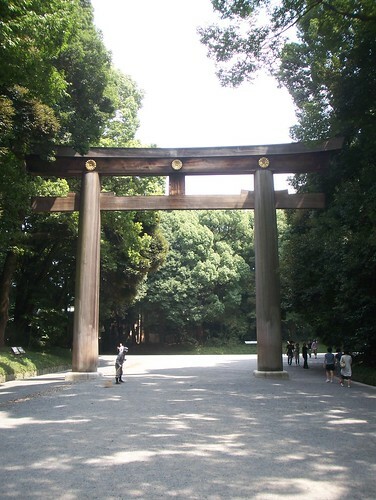 This Shrine was built by the Emperor Meiji to honor his wife, Empress Shoken. The aura of zen is juxtaposed with the pop culture epicenter located across the street. The bustling neighborhood of Harajuku is just on the other side of the Yamanote train line, where you can see tons of cos-play, kawaii-themed souveniers, and tons of crepe stands! 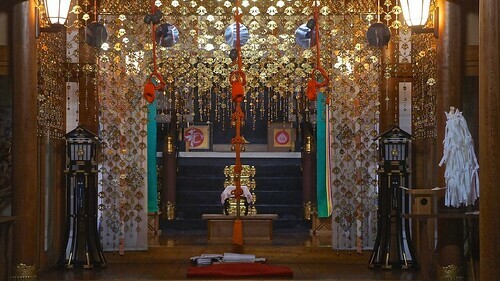 One of the oldest temples in the area, this temple isn’t frivolous, or dressed up too much, which makes it easy to imagine yourself there hundreds of years prior. 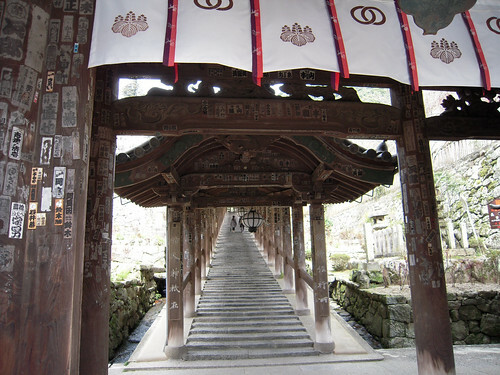 Suwa Shrine is simple, with lots of foliage cover, making the aged wood and mossy stone seem dark and brooding. If you can’t make it out to see the Daibutsu in Kamakura, this temple also has a massive (albeit not nearly as big…) statue of Buddha as well! 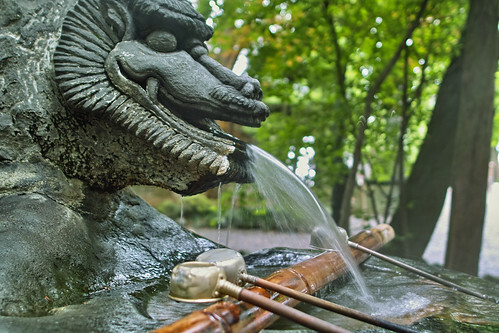 Be prepared for a workout before visiting this Shrine. The stairs to the top are quite steep, but worth the trip for the view. 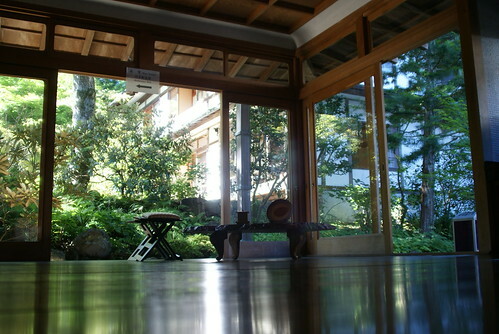 Zenkokuji couldn’t be more perfect of a location if you are tight on time. Right in the heart of downtown, Zenkokuji is a nice break from the the bombardment of neon lights and skyscrapers. 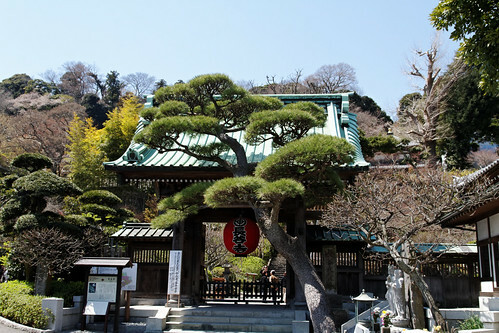 This small temple is easily accessible and close enough to make a short pit stop during a busy day. 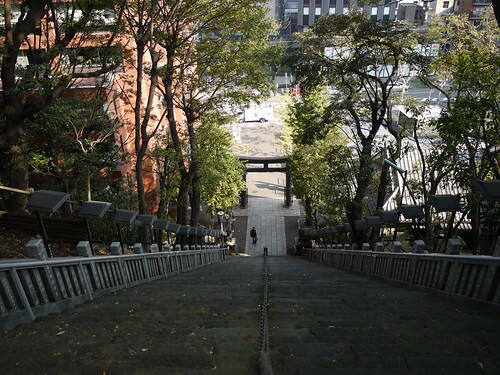 A classic “zen” temple in Tokyo, with easy access and beautiful views. Finally! A gold statue that you can actually take a photo of!! !